Nearly everywhere in the USA WiFi is for free. In every Startbucks, in over 10000 McDonalds, on Airports and even in some Safeway’s. But not in the Hilton Hotels. At least not in Austin. 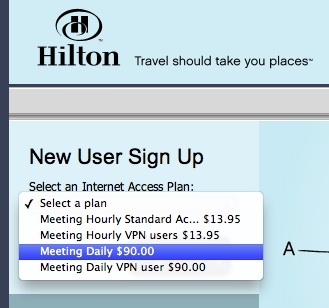 You pay 200 Bugs for a night and if you want to have internet you should pay $90 extra. Isn’t that ridiculous? In Mariott the WiFi is free! Thank God that Teathering on Android Phones is free.